Later the same night, I continued studying the new opening for black. Main focus at the current stage is to get a first understanding of the main ideas and plans for black. 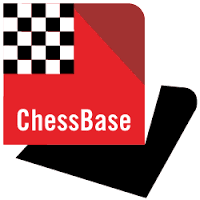 Precise moves and move-orders are next, when also using both Komodo and the latest MegaBase from Chessbase will show which moves are actually played (most) by the chess pros and help discriminating certain (unfavourable) lines. Contrary to yesterday´s plan, I will start practise my new opening in online blitz-games only later this week (perhaps Thursday, perhaps only during the weekend), there is simply too much to read+learn first!